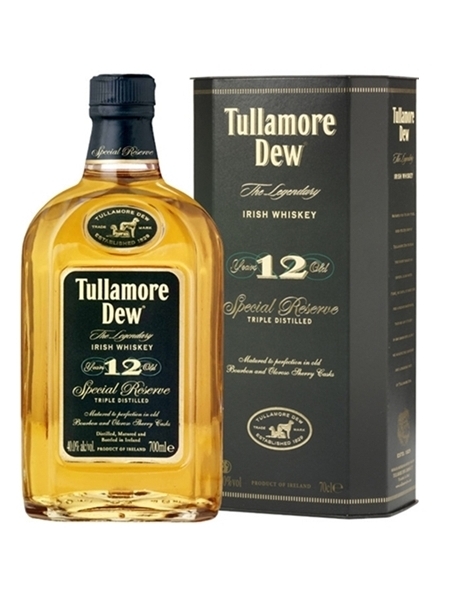 Tullamore Dew 12 Year Old Special Reserve(~€45) is a triple distilled blend of pot-still whiskeys, malt whiskeys and a little grain. This award winning whiskey is matured in bourbon and sherry casks, with the latter having more influence. This whiskey is bottled at 40% ABV.